Remember when Google transformed their logo into a playable PAC-MAN game? How about the time they let us record songs on Les Paul-inspired Google guitar strings? 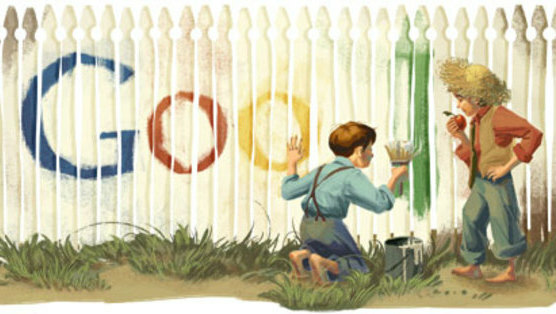 Since 1998, the company has commemorated thousands of holidays, birthdays and anniversaries with their creative Google Doodles. Earlier this week, Google treated users to an interactive doodle celebrating Leo Tolstoy’s 186th birthday. We were captivated by the illustrations, so we decided to scour the web for more doodles inspired by literature. From a “Little Red Riding Hood” storybook with a surprise ending to an underwater adventure in honor of Jules Verne, here are 10 of our favorite literary Google Doodles.